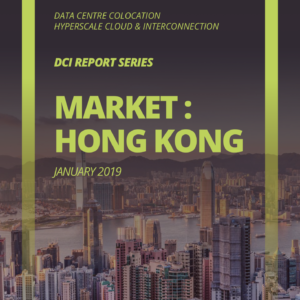 The Singapore DCI Report is an in-depth 124-page study that measures the aggregate size of the Singapore data centre colocation, hyperscale cloud and interconnection market from a revenue generation standpoint and utilization from a space and power perspective. This version includes detailed pricing analysis and projections for wholesale and retail colocation deployments as well as vertical segmentation break outs. Interconnection for the Singapore market is covered in terms of cross connect market share, hyperscale public cloud on ramp locations, and Software Defined Network (SDN) fabrics. There are data centre provider leaderboards that distinguish between revenue, space and power capacity in Singapore along with sub-regional analysis that further splits the Singapore market into various sub-regions that include East, West and North. The Singapore data centre market continues to grow and evolve. According to the data presented in this study, the Singapore data centre market was worth $1.1b USD in 2018 and is projected to grow at a five-year CAGR of 11% going forward. The market continues trending towards the wholesale side to the point where more than 50% of the revenue generated is now coming from wholesale colocation. Hyperscale cloud has been an obvious driver behind the demand for wholesale colocation. But that is not the only impact it is having. The presence of hyperscale clouds is helping seed an ecosystem of cloud on-ramps and driving new streams of revenue from interconnection services. This report has been re-named and tracks a number of new data points to account for the reality of this emerging new landscape. Hyperscale cloud locations and cloud on-ramps within data centres are identified, and statistics are provided on how much leasing versus building hyperscale platforms are engaged in. We continue to track supply and demand trajectory on both a space and power basis and split these metrics into retail and wholesale buckets. The supply situation is also further broken down by vertical. Finally, we have detailed data on interconnection service uptake and market share ownership. The shifts underway in the market are also driving new dynamics within the competitive landscape. Real estate and land developers from the brick and mortar world have shown growing interest in the healthy market outlook as they look to transition coveted assets – ownership of land and construction expertise at scale – to the digital world. 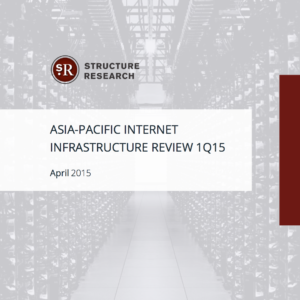 Overall, Singapore remains a desired destination for both end users and providers. Investment funds, regional and global operators are all looking at how they can be a part of the value chain. 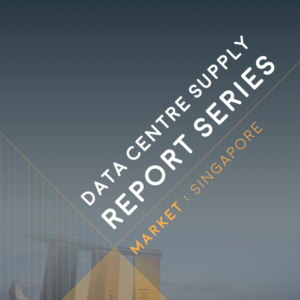 This report is an excellent resource for any service provider, investor or enterprise end user looking to understand and project the data centre market in Singapore or find a service provider.